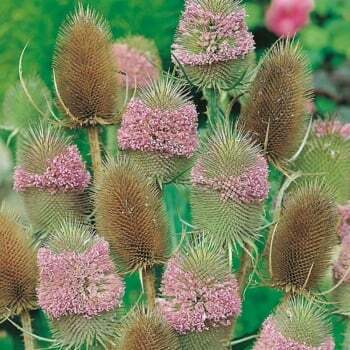 These Mr. Fothergill's teasel seeds from Ruddick Garden Gifts are loved by birds, bees and butterflies. These architectural and dramatic plants produce spiky, cone shaped flower heads on tall spiny stems. These hardy biennials will grow to 60" in height and you get on average 150 seeds per pack.